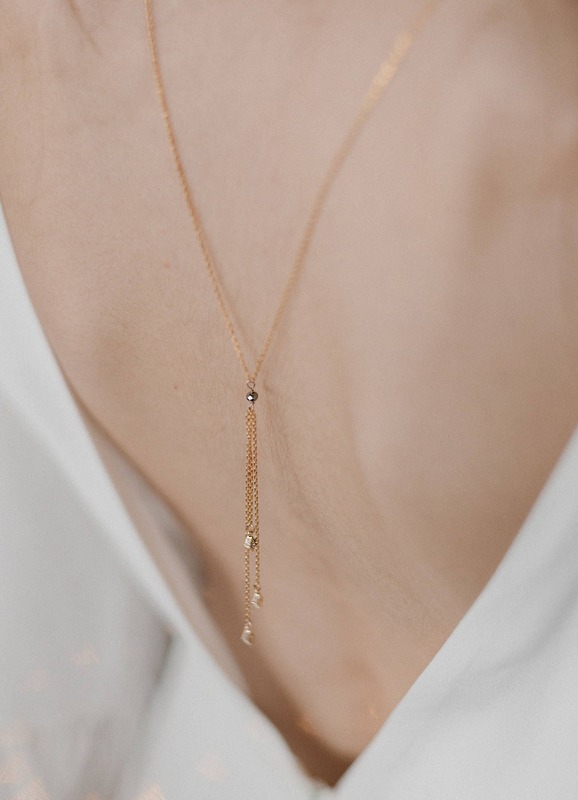 the Galileo necklace is an homage to the the astronomer and physicist Galileo Galilei and is inspired by 1920's jewelry and celestial bodies. 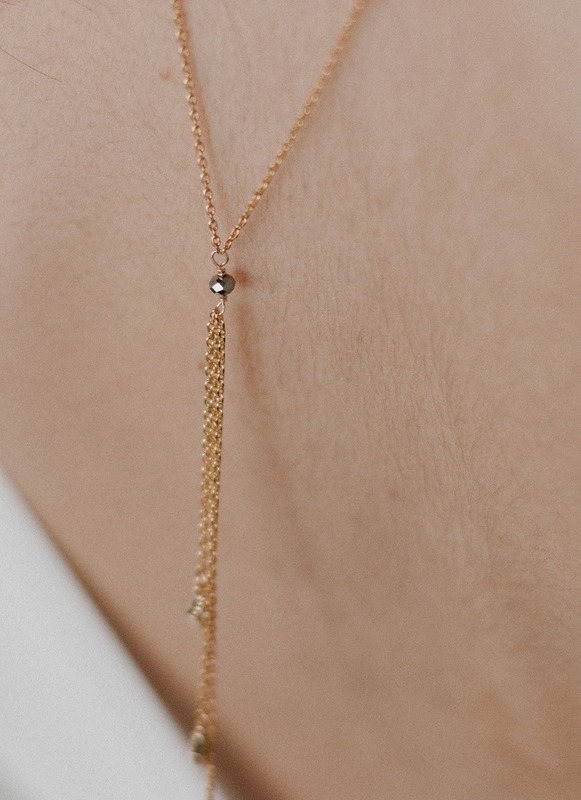 This necklace is really fun and unique because it can be worn in the front but also in the back. it has no clasp, instead is a little round hematite stone so when the dangling part is worn is the back, the little hematite is delicately placed in the hollow of the neck. - Handmade to order with love in our Montreal studio. please allow 3 weeks processing. - Comes in a lovely, hand printed kraft box for keepsake and safe travel. We make everything by hand! If you need your order for a specific date, please contact us prior buying! we will create a reserved listing for you with expedited shipping included. RUSH ORDERS and EXPEDITED SHIPPING are available if required. Please contact me through Etsy Convos prior to ordering so I can create a custom listing for you to include these additional costs. As Eugenie Bee jewelry is custom made and made to measure jewelry, please look at delays for each piece. average prep delay is 7-14 days but some takes a little bit longer! As jewelry are prepared to order and custom made to order all sales are final. If an item is damaged during shipping, please convo me (this process absolutely requires a picture of the broken item, as it represents proof for me) and I'll do my very best to solve the situation! If the order is for a gift or a special occasion, please specify it to me with the type of event, date of the event, an name of the giftee! I can include then include a sweet note plus gift wrapping. all of the items are securely and carefully wrap to travel safely. most jewelry will come with a linen pouch. 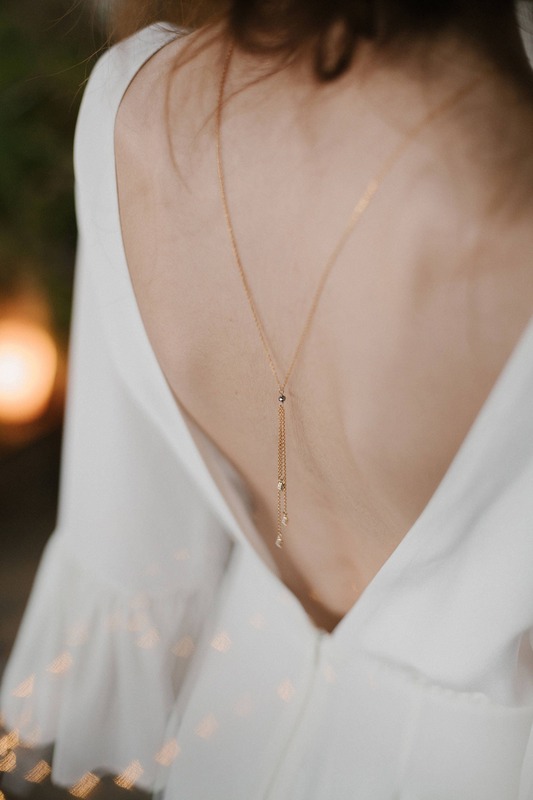 Most delicate pieces will arrive in a little box to avoid any breakage and will have to be kept in that box when not worn! Please note that the 14 days return, exchange and refund european policies are unfortunately not applicable on Eugenie Bee Etsy store as items are prepared to order, custom made and made to measure. each order is designed, crafted and inspected by me to insure the best quality and attention to every details. Don't hesitate to contact me if you have any questions! Avoid contact with water, perfume, hairspray and oils. Those can cause your gold plated jewelry to tarnish. 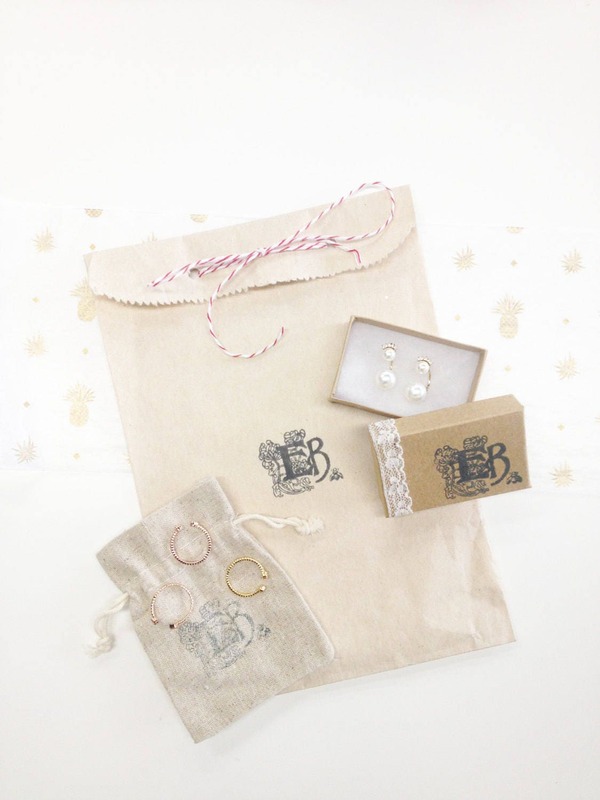 Always keep your jewelry safe in the linen pouch or box included when you are not wearing it. Use a microfiber of soft cloth to remove residues of your jewelry.